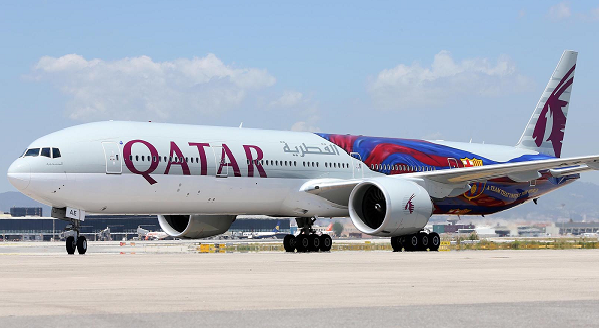 Saudi Arabia, the UAE, Bahrain and Egypt this month announced they had suspended ties with Qatar over the emirate’s alleged support for extremists, banning all flights to and from the capital Doha and shutting down the offices of the country’s national carrier. Qatar Airways on Monday called on the UN’s aviation body to declare a Gulf boycott against the carrier “illegal” and a violation of a 1944 convention on international air transport. The four countries have also granted Qatari nationals two weeks to repatriate and barred Qataris from transiting through their airports. In televised interviews on Monday, Qatar Airways CEO Akbar Al Baker called the move an “illegal blockade” and urged the United Nations’ civil aviation branch to intervene. The International Civil Aviation Organization “should heavily get involved, put their weight behind this to declare this an illegal act”, he told CNN Money. Baker said the move was in violation of the 1944 Convention on International Civil Aviation, charged with overseeing and regulating international aviation. Saudi Arabia is not a signatory to the convention. In an interview with Al-Jazeera English, Baker also came down hard on US President Donald Trump, whose country has been a longtime ally of Qatar. “We expect our friends to stand up with us in this unfair, illegal blockade conducted by four countries,” the CEO told Al-Jazeera. “I want the American people to realize that they are trying to intimidate a small country which has the closest relation with the United States,” Baker said. Trump on Sunday accused Qatar of bankrolling extremists, throwing his weight behind Saudi Arabia and its allies in the worst crisis to grip the Gulf in years. As part of the measures against Qatar, Al-Jazeera has also been blocked in Saudi Arabia, the UAE, Egypt and Bahrain.